Easter Bunny Pet Photos. We made $476 to help cover the fees to establish our new rescue. all their hard work pulling this fundraiser together. shopping never hurt anyone. For more information, please visit Soergels website by clicking on their name. was wonderful to meet so many new people and their pugs. We made $123 to be put towards our rescues' vet bills. adoption into their forever homes. We appreciate all the wonderful support. time. We made a total of $433 to help pay for our rescues' medical needs. Cook, Karen Powers with Green Mountain Pug Rescue and Lori Markowski with Pom Haven. Click here to see more of our Luau photos. day, and of course to our great vendors and for all their fantastic chinese auction donations. K9Kingdom for providing us with such a great facility to hold our event. August 2008 - Make a Splash! Make a Difference! annual fundraising event to support the Western PA Humane Society and to Lucky Paws for including us in the festivities. Thank you to Pittsburgh Pug Fest for including us in this year's festivities at Pug-O-Ween. We were happy to see so many familiar faces and meet many more new pug-loving friends. out by the end of the afternoon. Indoor Adventure Park for Dogs. We hope everyone had a fun time. thank you to Santa for making a special trip in just for this pug event. with the space to hold out annual fundraiser. We had a very nice turnout. Photos of our winners & all the great costumes will be posted soon. Hall (formerly Sto-Rox Boosters Hall) for providing us with the use of their facility. 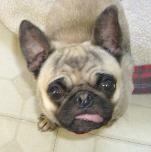 generously donated all the days sitting fees to our rescues to help with our rescued pug's medical expenses. It was wonderful getting together with other small breed social groups in the area and making new friends. volunteers Kathy, Sue, Earl, Carol, Kim, Melissa & Steve for all the hard work. to all our wonderful volunteers and fantastic vendors. Photos from this fun event will be uploaded soon. Check back. 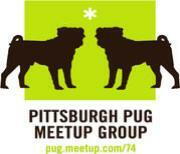 To view Pugmania in PA details, click here. us and enjoy a delicious dinner.